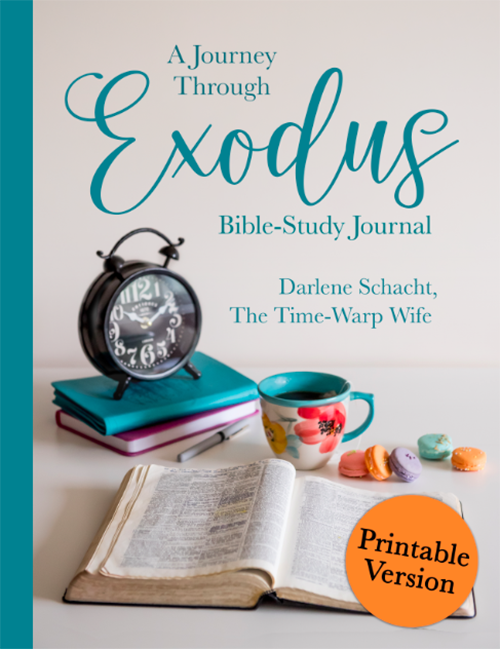 Exodus 11 is a short chapter with only nine verses, but it’s powerful nonetheless. God was unleashing the final plague—the death of the firstborn throughout Egypt. He was setting the stage for the Passover, which was a shadow of things to come. Before I get ahead of myself, I want to point out that while the other plagues mocked the many gods that they worshipped, this one mocked Pharaoh himself–a false god indeed—and perhaps the one Pharaoh worshipped the most. The firstborn was highly regarded at this time, for two reasons. One is that a first-born son was in line for the family inheritance. The first-born took the throne in some cases, and the blessing in others. Firstborn is also synonymous with power as we see Christ referred to as the first-born of all creation in Colossians 1: 15-17. By destroying the first-born of Egypt, God showed that obedience trumped lineage. The firstborn had a birthright, they had an inheritance, and they had privileges the others didn’t, but God has always reserved the right to choose the first-born as He did with Jacob when He chose him over Esau. This was a foreshadow of the New Testament, where God gave His only begotten Son so that we might be joint heirs with Him through obedience to the cross. The month was Abib, and later called Nisan. In this chapter, the month of Abib was established as the first of months. This becomes an interesting month for God’s people as they establish the first Passover on the 14th of Nissan. The comparison between the Passover and the death of Christ is a parallel unlike any other. Every detail of the Passover was implemented for a reason. So many of the details can be found in the account of the crucifixion. It’s really amazing when you start to compare the two. Looking at Leviticus chapter 23, we see that the Passover was on the fourteenth day of the first month and that the feast of unleavened bread the next day. In verse 6 God instructs the Israelites to kill the lamb in the “evening.” Dake’s Annotated reference Bible says, “Jews had two evenings: the first one was at 3:00 p.m., when the evening sacrifice was killed; and the second one was at 6:00 p.m., near sunset.” But here’s the thing, the Jewish day started at sunset (around 6am), making 3pm (our time) the ninth hour. When we look at the crucifixion of Jesus in Mattew chapter 27, we see that He gave up His life at the ninth hour. The spotless lamb was a foreshadow of the spotless lamb of God—Jesus Christ. Notice how they were instructed to take the blood in verse seven and put it on their doorposts. This blood marked their protection, as the blood of the Lamb also marks ours. So what is this eating all about? 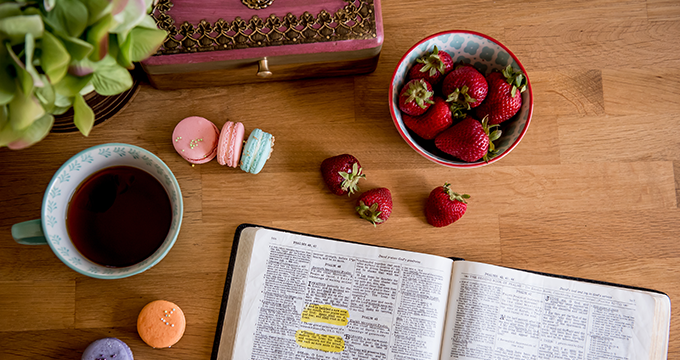 When we believe in Jesus—when we truly believe that He died on the cross and shed His blood for mankind, we symbolically eat of His flesh and drink of His blood. As they sat in their homes eating, they demonstrated their faith in the blood of the lamb and God’s protection over them. And there’s more. They were to dress in a manner, worthy of travel—with their loins girded (tunics lifted and tied), shoes on their feet, and a walking stick. They were to be ready for the call as believers today are instructed to be ready at all times for the coming of our Lord. As the angel of death passed over the homes, they were protected through faith in the blood and of the lamb. The next day marked the beginning of the feast of unleavened bread. Notice how it began with a day of holy convocation. This was a Sabbath day which wasn’t necessarily the seventh day of the week, and it also ended with one. These were extra Sabbath days to them. During the seven days of the feast, they were to eat unleavened bread. Leaven is symbolic of sin as we see in Galatians 5:9 where Paul writes, “A little leaven leaveneth the whole lump,” in connection with obeying the truth. And so these feasts were a way of expressing their faith and obedience to God’s will. 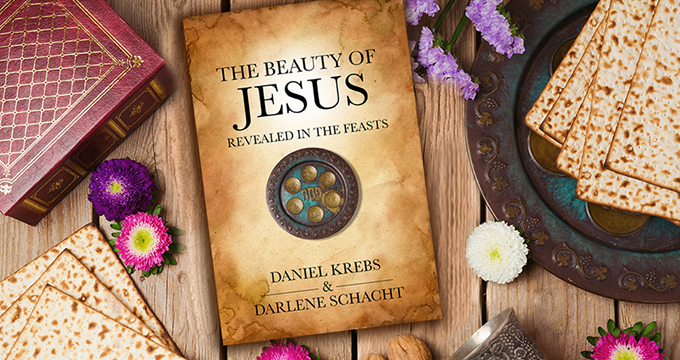 For an in-depth study on the Passover, The Feast of Unleavened Bread, and the other feasts found in the Old Testament pick up our book, “The Beauty of Jesus Revealed in the Feasts,” available at Amazon. Here’s a video from the “Beauty of Jesus Revealed in the Feasts” series. This video is specifically on the topic of the Passover. If you have trouble viewing this video, you can click here to watch it on YouTube. In this chapter, God tells Moses to sanctify (set apart) the firstborn male—both men and beast. To set apart was to give them a holy purpose. The ones that would not be sacrificed–the donkeys and the men, would be redeemed by a lamb. In other words, the lamb would take its sacrificial place. Again, a foreshadow of redemption through Christ. God led them on a journey through the wilderness. He led by a cloud during the day and a pillar of fire at night. These served to provide both guidance and protection. 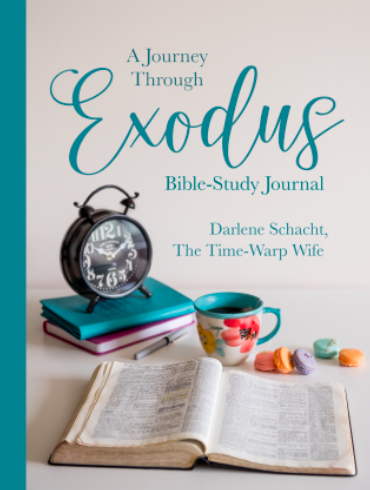 In this chapter, we see God’s hand at work, orchestrating every detail from the hardening of Pharoah’s heart to sending His people to a penned-in location. 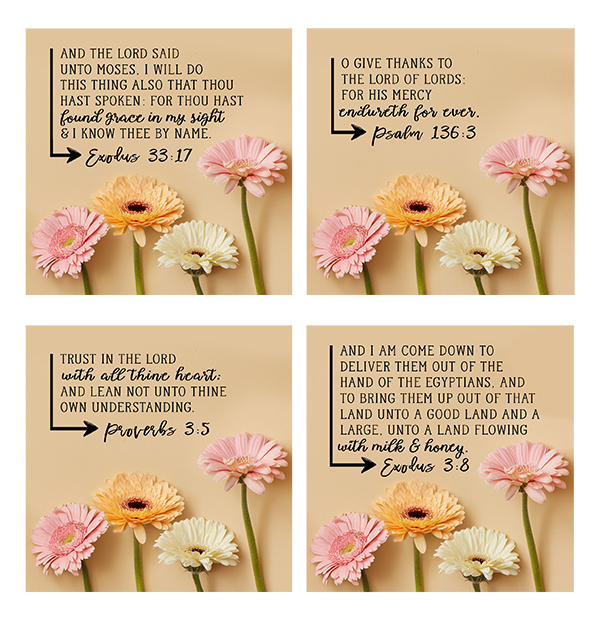 What they deemed as an impossible situation was an opportunity for God not only to bless them with the gift of deliverance but to reveal His glory to the world. When God directs our steps it won’t necessarily make sense to us, in fact, it might be daunting, overwhelming, and stressful at times. And so it’s important for us to remember that we’re right where God wants us to be. We must keep in mind that nothing is impossible to God. He excels man in wisdom and power. Those who put their trust in Him are wise to remember that He’s at work in their lives whether they understand it or not. A difficult situation is an opportunity to connect with God in ways that would otherwise be missed. It opens a door to deliverance, it opens a door to His glory and power, it opens a door to His grace. How often do I miss those opportunities? How often do I grumble and complain when I don’t understand? Teach me to be still, Lord. Teach me to stand firm in my faith. This chapter echoes our freedom in Christ, the strength of our salvation, the passing away of sin left in our past, and the hope of a bright future before us. We read in the previous chapter how God delivered them from Pharaoh ‘through water’ and yet here, it’s a lack of water that causes concern. Things change from one day to the next. What feels like a blessing one day, may feel like a curse the next. Our outlook on life is dependent on our point of view, our relationship to God, and our faith in His providence, which is why it’s so important to stay grounded in faith. The same God that has rescued us in the past, is the same God who will be there tomorrow. He doesn’t give up on His people. Our lives go through times of testing and trials, but it’s during those times of despair, God’s grace is upon us. He never forsakes us, but He does allow us to walk through wilderness places in order to prepare us for the journey ahead.